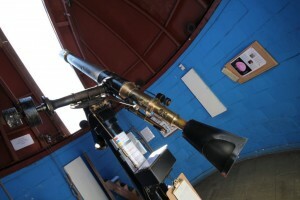 The Observatory has a number of historic and modern telescopes, which can be viewed at public events. You can listen to audio clips about them by clicking the links below. 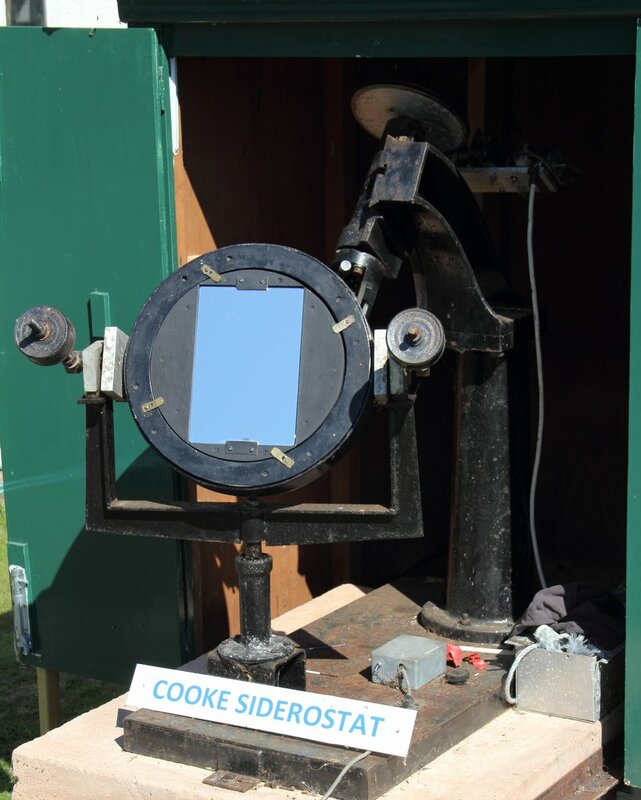 The Lockyer telescope was built in 1871 for Norman Lockyer, to contain the 6¼ inch lens from his previous one which was home-made. Lockyer used the telescope to make his discoveries about the composition of the Sun in 1868. The Kensington Telescope was built in 1881 for the Solar Physics Observatory in London, where Norman Lockyer was a director. 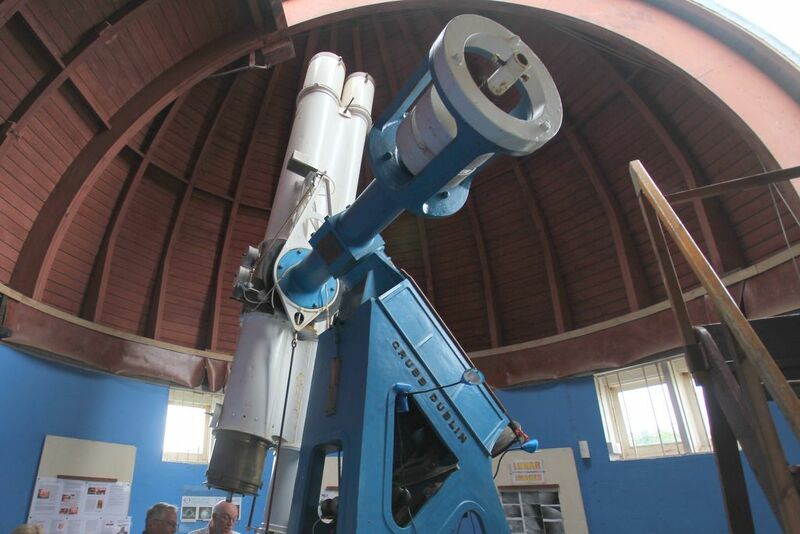 It was installed at the Observatory in Sidmouth when it was first established in 1912. It consists of two telescope tubes, a 10 inch for observing and a 9 inch for spectroscopy. The McClean Telescope was donated by Francis McClean in 1912. 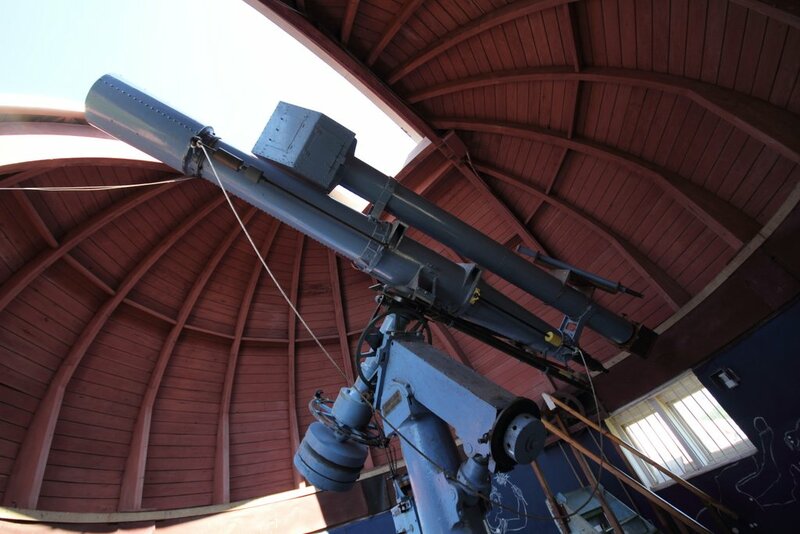 It is a Grubb refractor built in 1897, consisting of a 12 inch tube with a prism and attachment for a plate glass camera, and a 10 inch for observing. 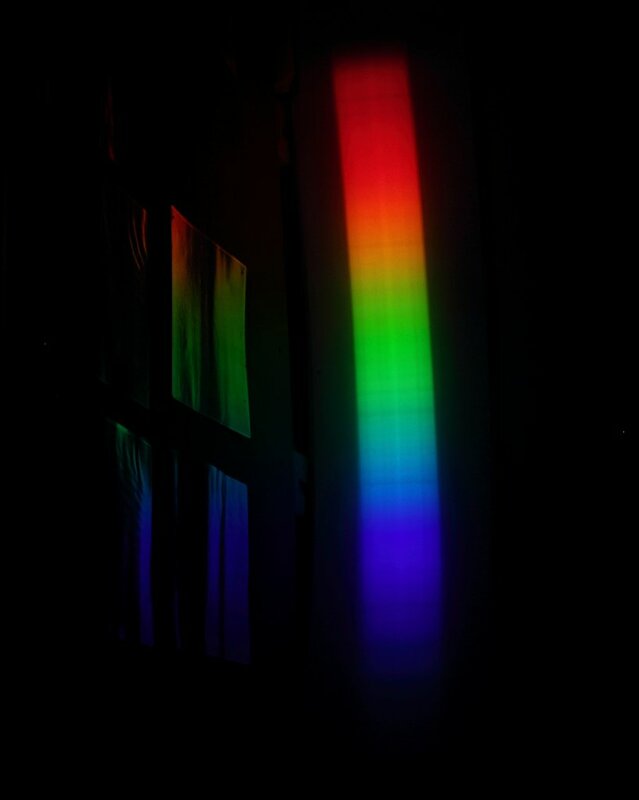 Also in the McClean Dome is the Cooke Siderostat, which can display the spectrum of the Sun on the wall, showing the absorption lines of the various substances in the solar atmosphere such as Hydrogen, Helium and Sodium.